Home » MEMPHIS GRIZZLIES » BELIEVE MEMPHIS! “Believe Memphis!” I did ‘believe,’ but all the believing in the world could not stop the NBA from keeping the small market Memphis Grizzlies from advancing in the playoffs. This may sound like sour grapes, but I whole heartedly ‘believe’ that is what happened. 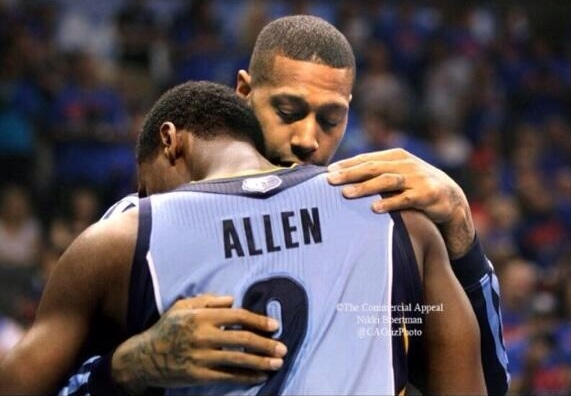 There are two main reasons the NBA did not want the Memphis Grizzlies to advance in the playoffs. Reason one is they did not want a small market team to win because there isn’t any money in it. Memphis is the smallest NBA television market in the entire league. Reason two is the NBA did not want their MVP’s team to get knocked out in the first round of the playoffs. The referees were absolutely horrendous in the Grizzlies – Thunder series, especially one-sided in favor of the Thunder in games one and six. Then for series-deciding game seven, the NBA suspended Grizzlies star forward Zach Randolph for pushing (not punching) Thunder center Steven Adams, who had been on Randolph all night with no foul calls. This suspension came almost 24 hours after the incident. During the game, there was no technical or flagrant foul called. But the NBA wanted to ensure the Thunder would win the series and advance to round two of the playoffs. It is a shame because I was REALLY into the NBA this year, so it going to be difficult for me to reconcile my newfound interest in the NBA with what happened to the Grizzlies. I did not follow the NBA until I moved to Memphis in 2008. I got season tickets to the Grizzlies. They weren’t very good back then, but I cheered happily from my $10 seat in the front row up top in the corner. Once and a while I got a real treat when I was upgraded to floor seats or a box. When I moved back to Maryland in 2011, I continued to follow my Grizzlies. Last year I saw the Grizzlies in DC against the Wizards and went to Game 6 in Memphis against the Clippers, which we won! This year I ordered the NBA League Pass, so I could watch every Grizzlies game. I began watching NBA TV all the time for news around the league that wasn’t even Grizzlies related. I traveled to DC and Philadelphia to see the Grizzlies play – and they won both of those games! I again went to Game 6 in Memphis, but this year they obviously did not win. Still, it was a fun season. I was fortunate enough to go to three Grizzlies games, including one playoff game in Memphis. I got to meet my favorite player James Johnson. I made lots of new friends through our shared love for the Grizzlies. Hopefully, next season will be even better. Believe Memphis!